Home » Welcome to October Unprocessed 2018! 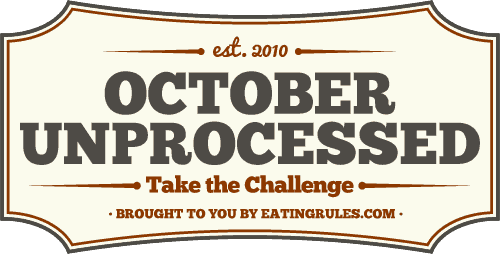 » Get Your October Unprocessed Logo Here! Get Your October Unprocessed Logo Here! 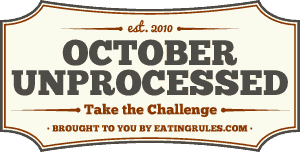 Show your support of October Unprocessed by putting the October Unprocessed logo on your website or social media account! You can just copy the code that’s beneath the image you’d like to use. In WordPress, go to Dashboard->Appearance->Widgets. Add a “Text” widget to your sidebar, and paste the code into the larger form field. If you get stuck, just drop me a note. I’m looking for the profile badge. The one that goes on my facebook profile picture for one of my pages.